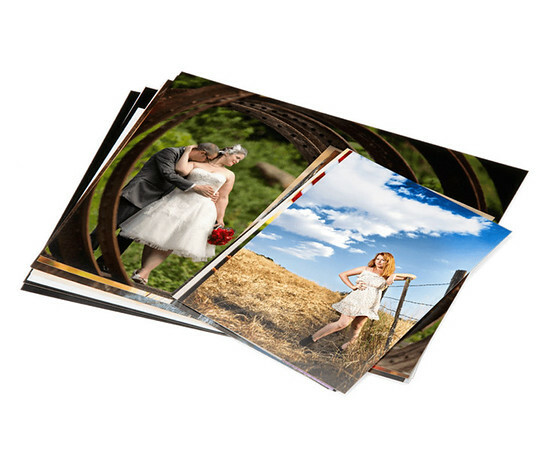 ClouStudio offers a wide range of photography print products online. Our pricing is affordable and we allow our clients mix and match the sizes, finishes and mounting options they want. Mountings and finishes are available through the ‘Add Frames and More’ button under each item in your shopping cart. These are selected right before you finish check out. Contemporary mounting options and paper surface textures are all available with a few mouse clicks. And they can be purchased in different combinations to create something truly unique. Mounting adds stability to your print preventing any creases or the "waves" in larger photographs that can occur after being displayed for a time. Finishes further help guard against scratching and other damage, and enhance the appearance of photographic prints. 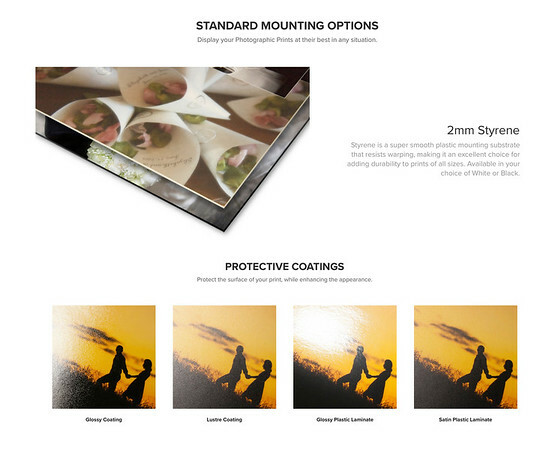 With a protective coating on your print, no need for cover glass or acrylic! Seven sturdy selections: 2mm Styrene, Bevel mount, Gatorfoam and 3/4″ Standouts. Five awesome alternatives: Pebble, Canvas and Linen surface textures, Satin Laminate and scratch-resistent Protective Coating. A quick note about frames. Although also available online, we offer a much wider selection of quality frames in our studio at better prices so give us a call for details! ThinWraps are a unique, stylish and frameless option to display your images and an easy way to create a wall display that has a gallery look inside your home or business. They are unique in that they appear to be floating on your wall. No frame is needed so the main focus is on the image! Printed on photographic paper in a beautiful metallic finish with a smooth satin laminate and neatly wrapped around sturdy, 3/16” board. Each comes backed with two ¾” thick lightweight foam blocks with holes drilled for easy hanging. The mounting blocks hold the print away from the wall for a contemporary float effect. ThinWraps 16x20 and larger are wrapped around Gatorboard and prints 16x16 and smaller use Masonite. We’re so excited to tell you about our brand-new, beautiful and easy-to-love designs. Whether you fancy rustic, elegant, or simple designs, you’ll find something that you’ll love. Best of all, you can customize every design with your own words and your favorite photos right from within your gallery. In most of the designs, you even have your pick of a variety of fonts. 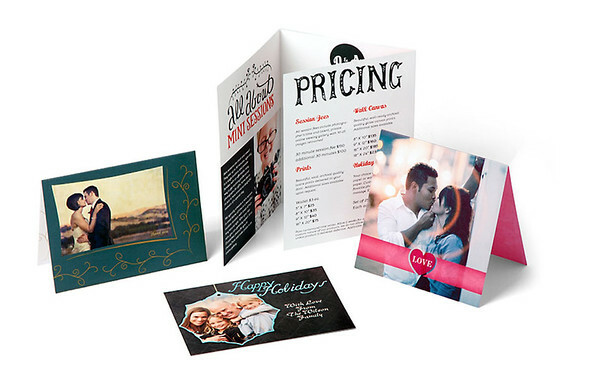 Find unique and stylish personalized holiday, baby photo birth announcements, birthday party invitations, and thank you cards! From within your gallery, click on the "Buy" button and select "Create a Card". You can then select either the flat 4x8 or the folded 5x7 card. Have fun creating your very special and personal cards! This 98# paper has a unique white pearlescent finish and smooth feel that is a nice shine.